Like seriously? 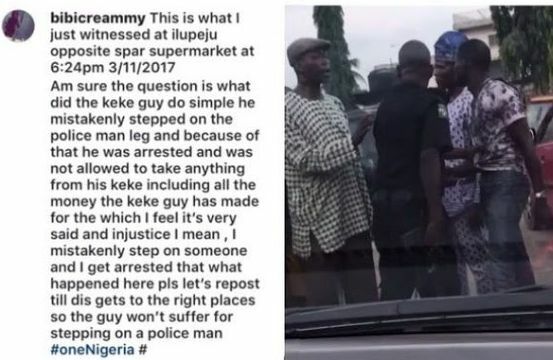 A Nigerian lady took to her page to share clip of a Policeman assaulting and reportedly arrested a man who simply "stepped on his leg" in Ilupeju area of Lagos. According to the lady, the man, a tricycle driver, didn’t step on the policeman's leg intentionally, but was still arrested.